If that's the case, then I would start with Sphere of Safety and adding more enchantments to bolster the pillow-fort plan. Blind Obedience , Authority of the Consuls , Darksteel Mutation , Grasp of Fate , Citadel Siege , Prison Term , Curse of Vitality , Martyr's Bond , Gideon's Intervention , Oath of Lieges , Martial Law , are Exclusion Ritual are all good. Norn's Annex is a "yes," from me, dawg. 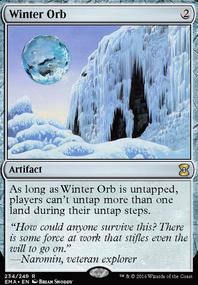 Baird, Steward of Argive , Orzhov Advokist , Peacekeeper , Windborn Muse , and Glacial Chasm , might be decent, as well. 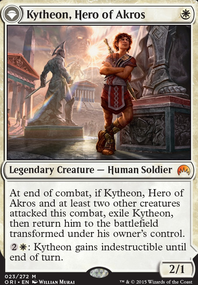 Putting in the other Elspeths and maybe a Gideon or two, along with Arena Rector will help set up your end game for after you wrath. Fumigate would also be a big boon. You'll probably want to go up to at least 37, if not 38 lands, since it sounds like you don't want to be missing land drops. 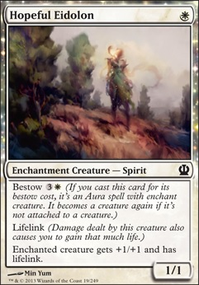 I agree that you should keep your mana costs low and you already run a lot of cards at cmc 3, but your only means of REMOVING on board threats are three board wipes and the ability of Profane Procession Flip. I'm just saying if they have answers to enchantments, you might be kinda screwed. 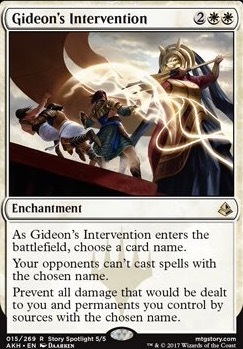 Also, Gideon of the Trials seems like a decent idea if you add Gideon's Intervention lol. 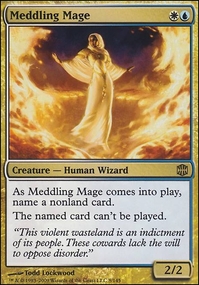 My version shifted through a variety of color combinations including sultai, but I think I have settled on dimir and primarily using Surgical Extraction. Turn 1 inquisition into surgical seems like fun. 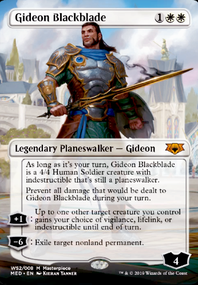 Lands are put into play, not cast, so unfortunately Gideon's Intervention wouldn't work in that manner. Also, why is Manamorphose a dead card? You don't need green to cast it.